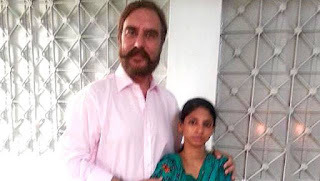 Abdul Sattar informs about this girl to a human right activist Mr Ansar Burney. Mr Ansar Burney tries all his means using social network, advertisement and almost everything he could to make her meet her parents which she points lives somewhere in Jharkhand or Telangana in India. 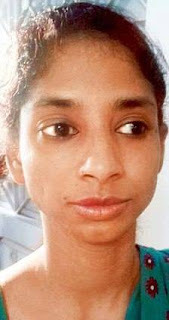 Geeta alias Guddy may be from Jharkhand or Telangana in India. Geeta remember no 193 and says she has seven brothers & four sisters. Mr Burney even came India in around 2011-12 and tried broadcasting about her, so that her parents can recognize her and meet their child. But failed in his attempt. We are very much familiar with movies based on true stories or Mobile games based on movies, but a movie story turned true had never been heard before. On 17th of July, Salman Khan starer +Bajrangi Bhaijaan Movie released in India and Pakistan. The movie Bajrangi Bhaijaan has almost similar plot where a Pakistani little girl gets abandoned in India and is found by #Bajrangi Bhaijaan (Salman Khan) who swear to make her to her parents in Pakistan. After the movie got smashing success Ansar Burney who also watched movie got a new hope and retried with all means. This time govt of India heard his voice and Promised to help in every possible way. Minister of External affairs Mrs Sushma Swaraj tweets and lend her full support to bring back the girl(Geeta named by her foster parents Bilquis Edhi). Indian High Commissioner in Pakistan Dr.TCA Raghavan is reaching Karachi and will meet Geeta today. Our High Commissioner believes that Geeta is an Indian. We will bring Geeta back to India. We pray for Geeta's safe return and hope she very soon meet her own parents in India.